Posted on November 27, 2017 by Norwich Radical	in Inter|national, Uncategorized and tagged Africa, African Spring, arab spring, coup, DRC, Grace Mugabe, Harare, Idi amin, Kabila, Mnangagwa, Mugabe, Museveni, Uganda, Zimbabwe. After having his position as goodwill ambassador for the World Health Organisation revoked last month, more bad news plagued Robert Mugabe this week as he was finally ousted from his longstanding position as President of Zimbabwe. After more than 35 years in office and at the grand old age of 93, the now former head of state stepped down, eliciting much jubilation and celebration across the country. It wasn’t easy, mind…. 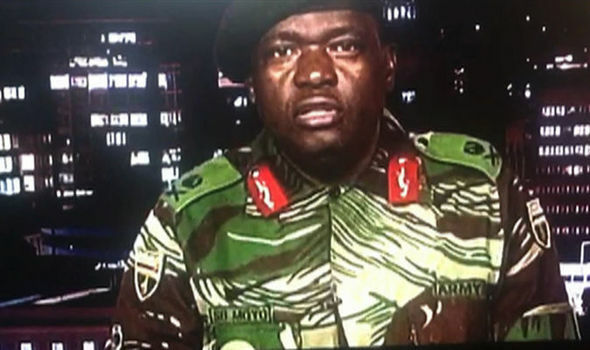 Despite claiming this was not a coup, the Zimbabwean electorate certainly took this as evidence that Mugabe’s reign was coming to an end; taking to the streets of Harare, Bulawayo and many other areas of the country in droves, demanding the ejection of the president. By the 19th, Zanu PF (Mugabe’s party) central committee had joined the furore demanding Mugabe resign by 12.00pm the next day or face impeachment. By the 21st, his resignation was announced in parliament, as lawyers began the process of impeachment. By the 22nd it was all over; Mugabe was no longer president of Zimbabwe and his successor, Emmerson Mnangagwa, had been announced and sworn in on the 24th. Time is up for Robert Mugabe. Image credit: Wikipedia Commons. While this is indeed fantastic news for the country, we should remain somewhat cautious in our celebrations. The ruling party remains in power, no elections have yet been announced and the country faces a gigantic upstream struggle to return to anywhere near the modest economic and social situation that existed before Mugabe nosedived the country into the ground. That said, every thousand mile journey starts with one step, as the old Chinese proverb says, and this certainly was a big and welcome one. That said, every thousand mile journey starts with one step, as the old Chinese proverb says, and this certainly was a big and welcome one. This month of political upheaval in the Sub-Saharan state could have ramifications for other parts of the continent. Zimbabwe wasn’t the only country to be ruled by one man for multiple decades; Yoweri Museveni has assumed presidential control of Uganda for a similar period of time and is of a similar age. Despite successive (yet questionable) victories during democratic elections, the country is beginning to tire of the head of state. Although not as economically dire as Zimbabwe, Uganda’s offers very little opportunity for many of the population, least of all the young. While the older generations remember a time of war and despotic control by Idi Amin and praise Museveni for leading them away from such darkness, the young know only unemployment, political corruption and degrading infrastructure. If I was Yoweri, I’d be nervous, and rightly so. Museveni with the Obamas. Image credit: Wikipedia Commons. Uganda is not the only country akin to Zimbabwe in respect of prolonged singular leadership, The DRC is facing its own issues with Joseph Kabila. Following his father’s assassination in 2011, Kabila assumed control of the country and was elected president in 2006. However last year the country was due for an election but Kabila decided that wasn’t going to happen. Following mass violent protest in December, Kabila conceded and a date was announced, however this date has been repeatedly set back, with the elections now set to take place in December 2018. If I was Joseph I’d be keeping an eye on my generals. Perhaps 41.5 Ugandans and 78.7 Congolese will receive an unexpected Christmas present this year; will 2017/18 come to known as the years of the African Spring? While the world waits with baited breath to discover the outcome of Zimbabwe’s political future, other African head of states may have other things on their mind. After all, the Arab Spring was not that long ago, and momentum is a powerful and wondrous thing in the political world. With one African quasi-dictator down, at least two more remain, ripe for usurpation. Perhaps 41.5 million Ugandans and 78.7 million Congolese will receive an unexpected Christmas present this year; will 2017/18 come to known as the years of the African Spring?